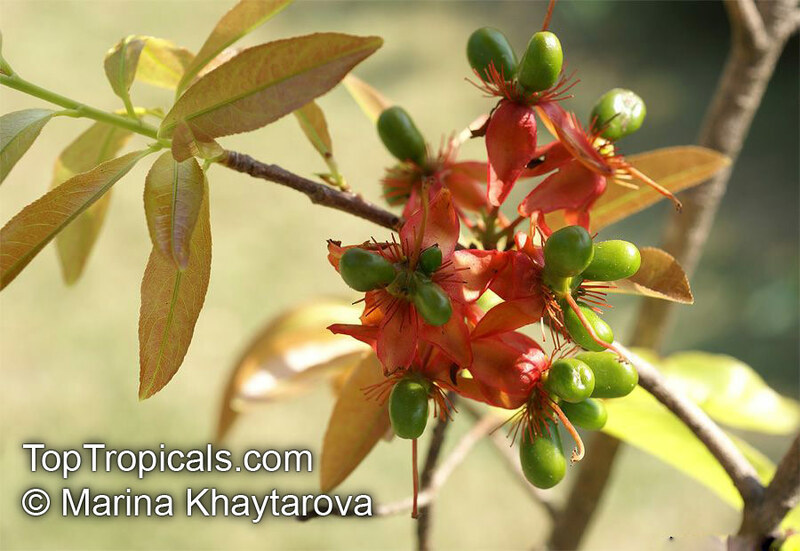 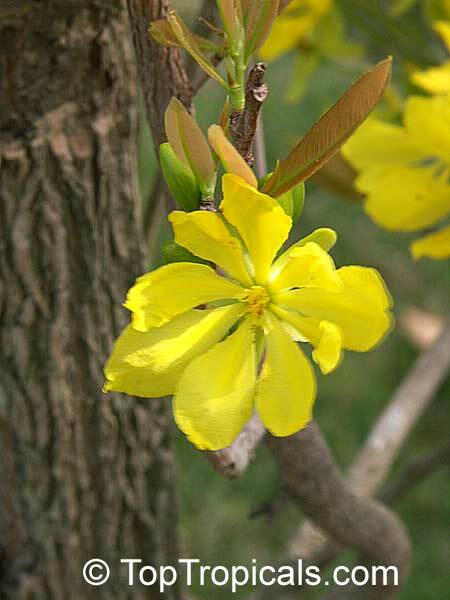 The most celebrated flower in Vietnam, Ochna integerrima blooms profusely on the occasion of 'Tet', the Vietnamese New Year. 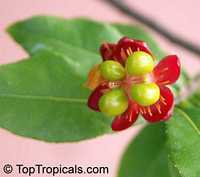 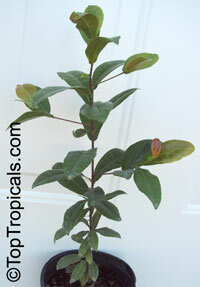 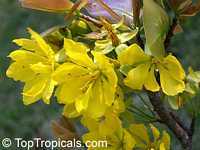 A must for exotic plant collection, this is a rather slow growing, medium size shrub that can be trained into miniature tree. 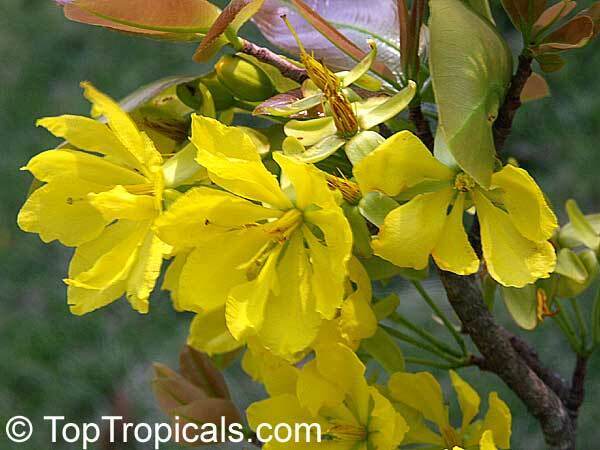 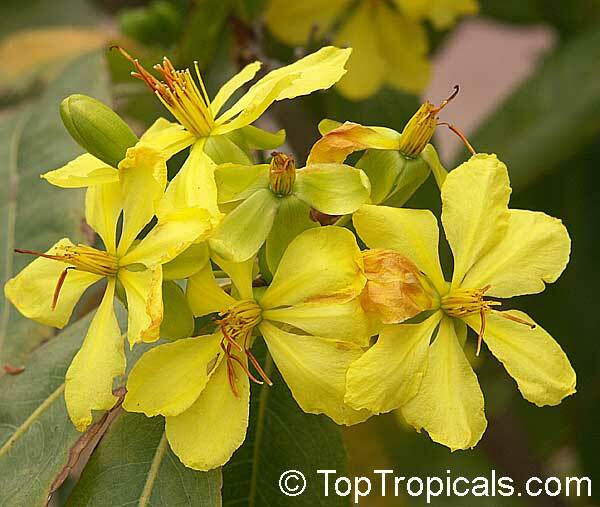 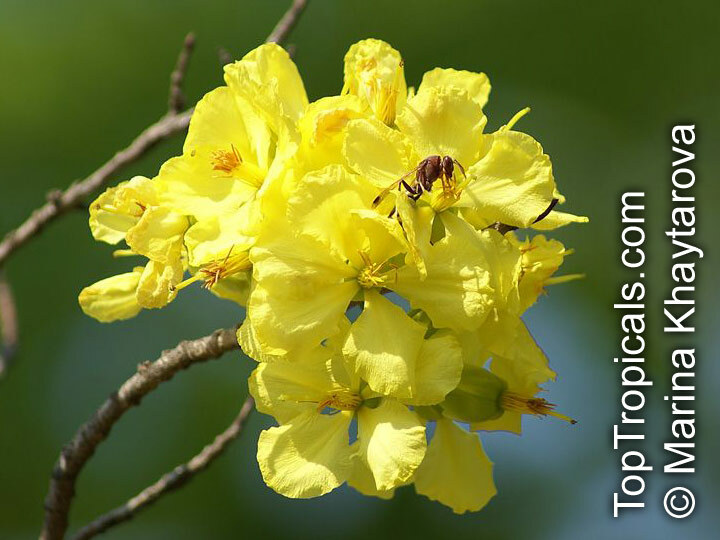 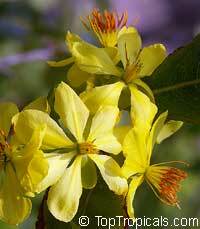 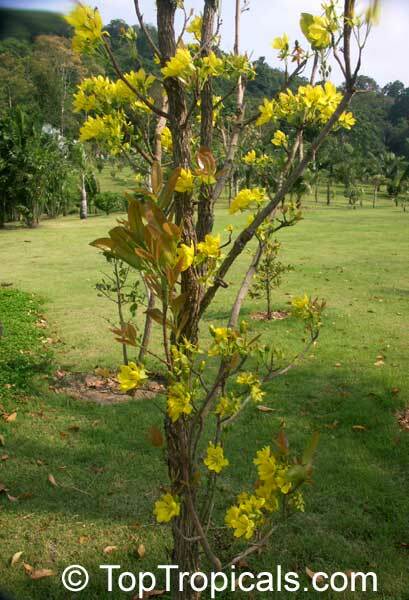 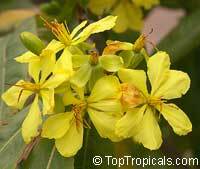 In winter the plant is covered with pretty bright yellow flowers, believed to bring good luck and prosperity. 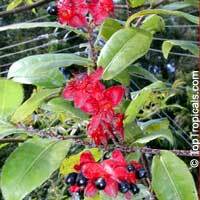 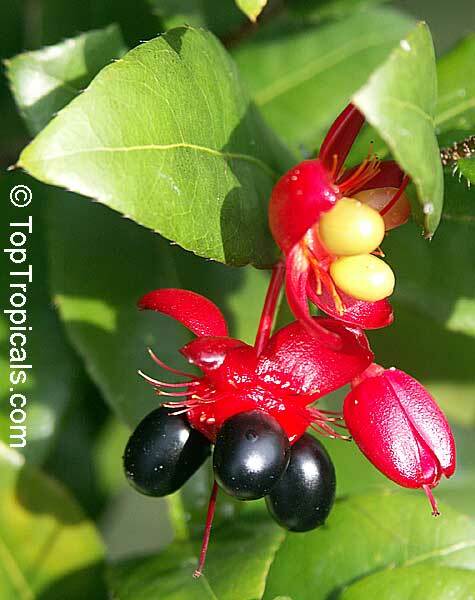 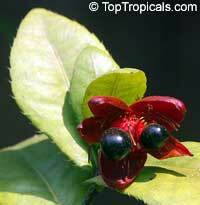 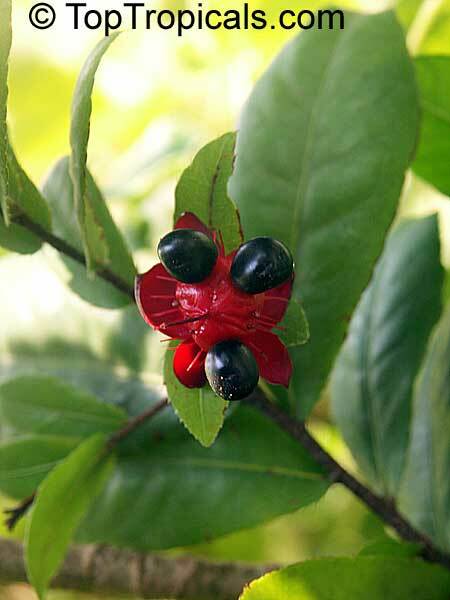 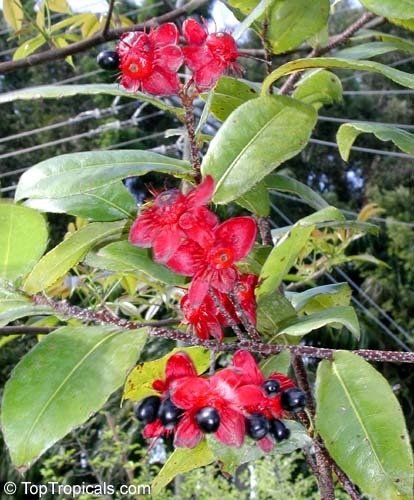 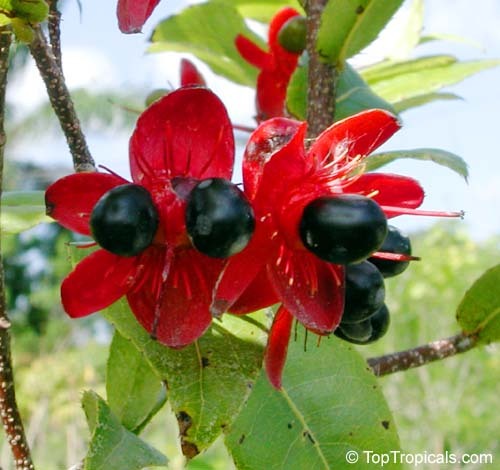 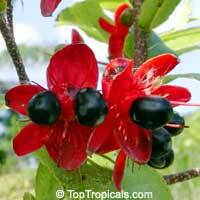 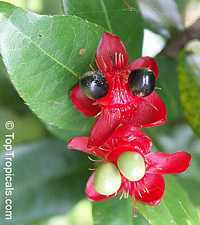 They are followed by cute shiny black berries on bright red sepals that resemble the face of Mickey Mouse. 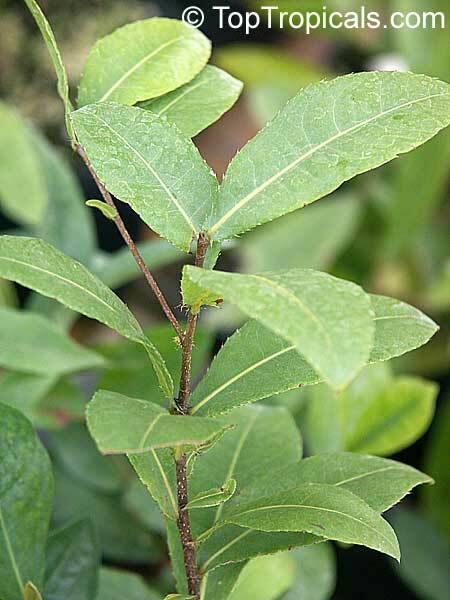 The plant is easy to grow and relatively cold hardy (to light freeze). 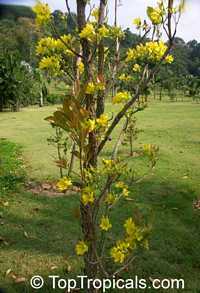 O. integerrima differs by having wider leaves with bristle-bearing margins rather than sharp teeth of narrow-leaved O. serrulata. 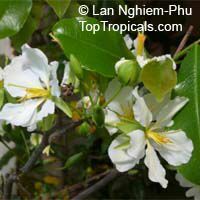 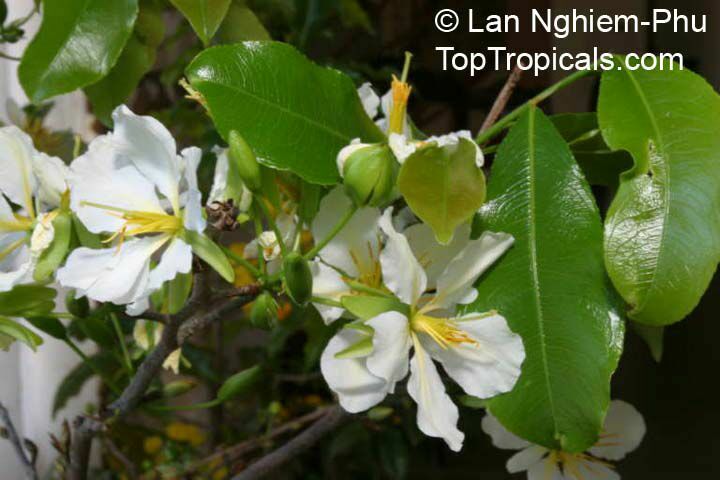 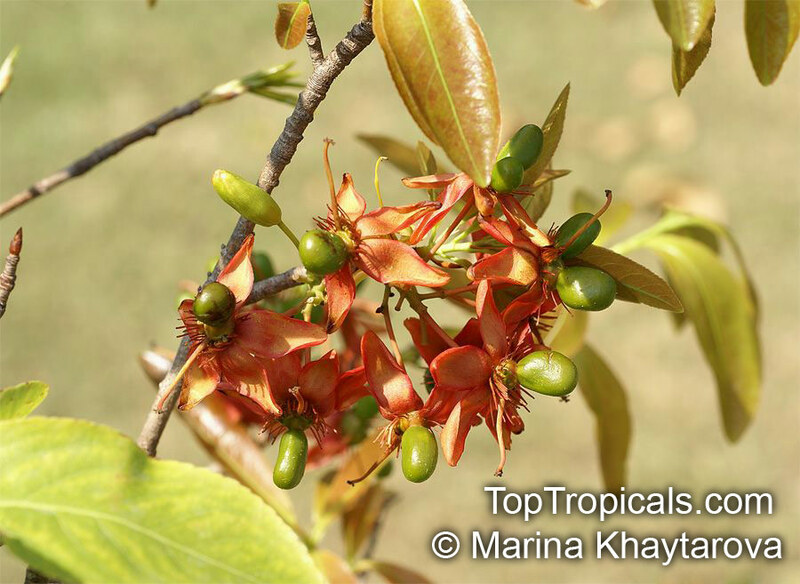 Hybrid variety Ochna Alba (Vietnamese name 'Bach Mai' meaning literally 'White Ochna') is very rare and does not produce seeds.